It’s a really really big one this time! You are here: Home / Snapshots / It’s a really really big one this time! 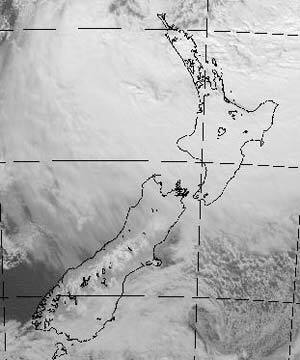 New Zealand is currently being bashed about by a massive sub-tropical cyclone. This is bringing floods, destruction to power lines on top of the usual chilling misery of winter. Fortunately for us the worst of the weather is further north but nevertheless it feels pretty bad here. According to the weather predictors the air pressure could drop to it’s lowest levels on record. The effects of this are shown in the picture on this blog. What a weird year we’re having. No doubt something to do with global warming. Whilst this storm might be bad enough there is another heading our way for later in the week as it’s already brewing in the Tasman sea. We were due to go away this weekend but the horrendous weather and the cold shivers we’re developing have meant we’re changing our plans and having a stay at home vacation instead. I’ve a pile of books, magazines and logs for the fire to burn through so we’ll be fine I’m sure. Previous Post: « The power of blogging – you simply must believe me!